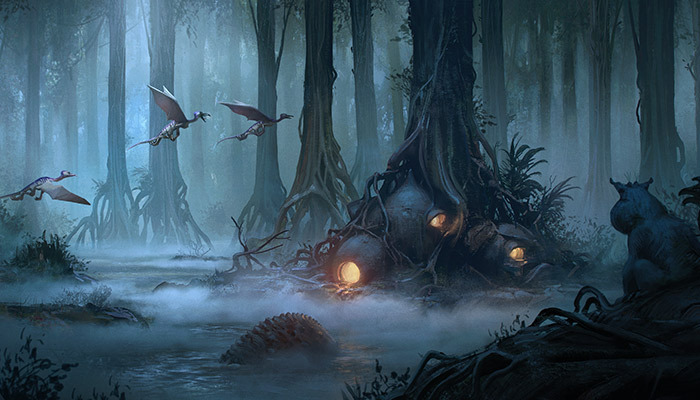 A tangle of tree roots in the swamps of Dagobah. Labyrinthine crystal caves beneath the surface of Ilum. Ancient ruins in the north of Lothal. The towering pillars of the Jedi Temple on Corsuscant. These scattered sites have in common a prodigiously strong connection with the Force, which has made them hallowed to the Jedi and now largely forbidden under the Empire. But to those who dare to visit them, they offer shocking epiphanies, difficult trials, mystical knowledge, and valuable artifacts. 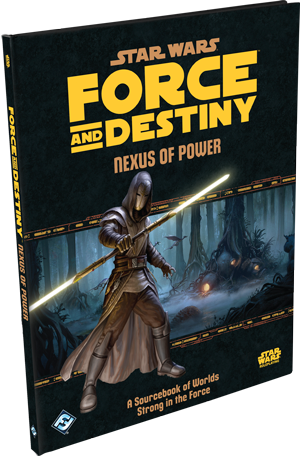 Nexus of Power, a forthcoming sourcebook for Star Wars®: Force and Destiny™, enables players to visit these iconic places and many more. 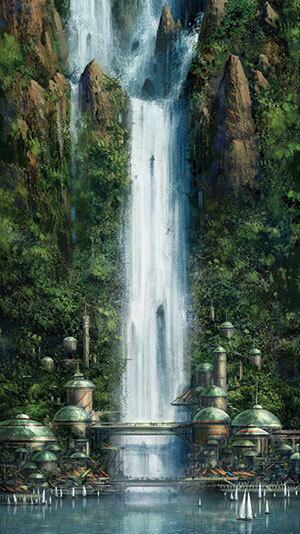 Its 144 stunningly illustrated pages provide lavish details on places strong with the Force, such as Dagobah’s tree cave and worlds with rich Force traditions, such as Bardotta. 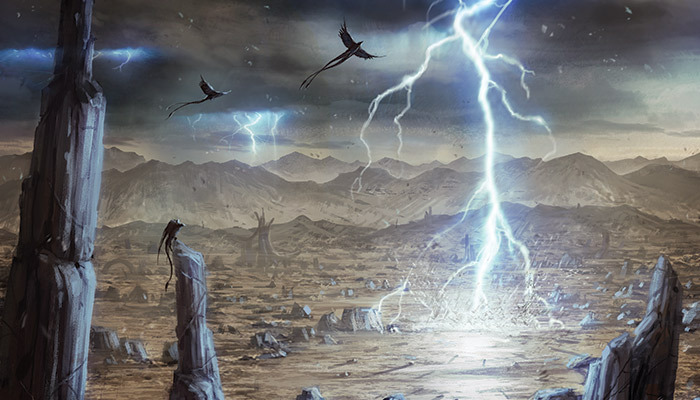 Eight modular encounters provide Game Masters ready-made gateways into these locations that can be used as single-session adventures or launching points for entire campaigns. Players will find new playable species, vehicles, and gear, as well as plentiful resources for crafting Force sensitive characters with rich backgrounds and distinctive personalities. Among the galaxy’s millions of planets only a scant few resonate with the Force. Twelve of these rare worlds are opened up in Nexus of Power. Some you can travel to freely, others have been quarantined by the Empire. Some are home to billions of sentient beings, others struggle to support a few forms of life. Some, like Naboo, have played an important role in the politics of the Old Republic and the Galactic Empire. 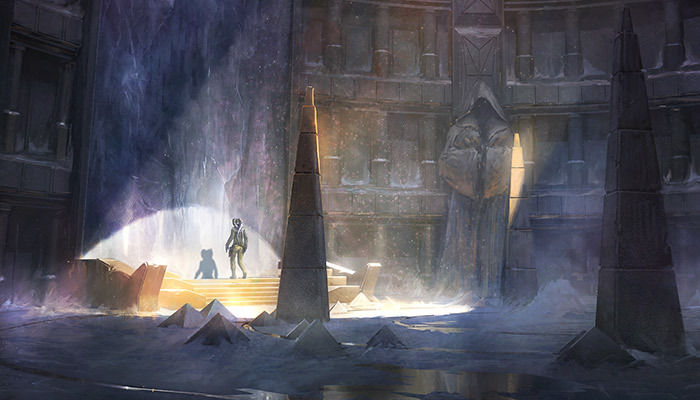 Others, like Lothal, are sparsely populated worlds in the Outer Rim, unremarkable—unless you know what to look for. Still others are ancient and mysterious worlds hidden in the vastness of space, impossible for all but a select few Force users to find. The planet Ossus, for example, seems to be located within the Cron Drift asteroid field. At the end of the drift you can find scoundrels vending false astrogation charts to thrill-seekers attempting to find Ossus. Other criminals claim to have found it and retrieved artifacts with incredible powers—which they will sell you for just the right price. The Empire even refuses to comment on the planet’s existence. But Ossus does exist, and with Nexus of Power you can explore its ancient bronzium buildings, deep canyons, and dessicated ruins of gardens. A vergence is a place where the Force concentrates like a whirlpool in a flowing river. That place may be a small cave or an entire planet where light and dark constantly vie for surpremacy. Many Jedi temples, including the one on Coruscant, are built atop vergences that lie deep in the earth. Other vergences, like the tree cave on Dagobah, are unmarked by architecture and almost imperceptible to all but the Force sensitive. To those who feel the Force deeply, however, simply approaching a vergence can be overwhelming. One lesser known vergence that Nexus of Power introduces to Force and Destiny is the Wellspring of Life, a type of legendary, light side vergence that can only be found with the Force as your guide. Qui-Gon Jinn began investigating the Wellspring of Life shortly before his death; Yoda took up where Qui-Gon Jinn left off and found it deep in the galaxy’s heart. The space within the Wellspring defies all known scientific laws. Lush, bizarre jungles grow in its heart, filled with mysterious beings. Every living creature in those jungles is an expression of the Force itself, so a Force user might find a long-lost pet among the foliage or flocks of birds that were thought to be extinct. The Force manifests itself among different cultures and species in different ways. The four playable species found in Nexus of Power exemplify that. The diminutive, enthusiastic, reptilian Aleena lack a native Force tradition, but quite a few have been inducted into the Jedi Order in the past. The scholarly, spiritual, lizard-like Bardottans, on the other hand, have a strong Force tradition. Known as the Dagoyan Masters, trained Force sensitives on Bardotta use the Force for education and practice nonviolence. Devaronian culture is ancient and advanced. They independently developed travel through hyperspace and made contact with the greater galaxy long before nearby systems were inhabited. Force sensitivity appears rather frequently among these tall, horned, bipedal mammals, especially among the females, yet they have no prominent native Force traditions. Neither do the Gungans of Naboo, yet their cultural emphasis on living in harmony with the natural world suggests that there are more Force sensitive Gungans than the Jedi Order might ever have thought. No matter what, there is one major Force tradition that you will have to find your way without: the Jedi Order. Its absence may compel you to go to Bardotta in search of a teacher or to explore the depths of a vergence, seeking an answer from the Force itself. You may travel to Ilum to search for a lightsaber crystal or brave the Imperial troops guarding the Jedi Temple on Corscuant in order to discover the truth about the Jedi and the Sith. There are inifinite paths towards destiny. Nexus of Power opens up numerous directions for your path to take. Nexus of Power will be available in the first quarter of 2016.